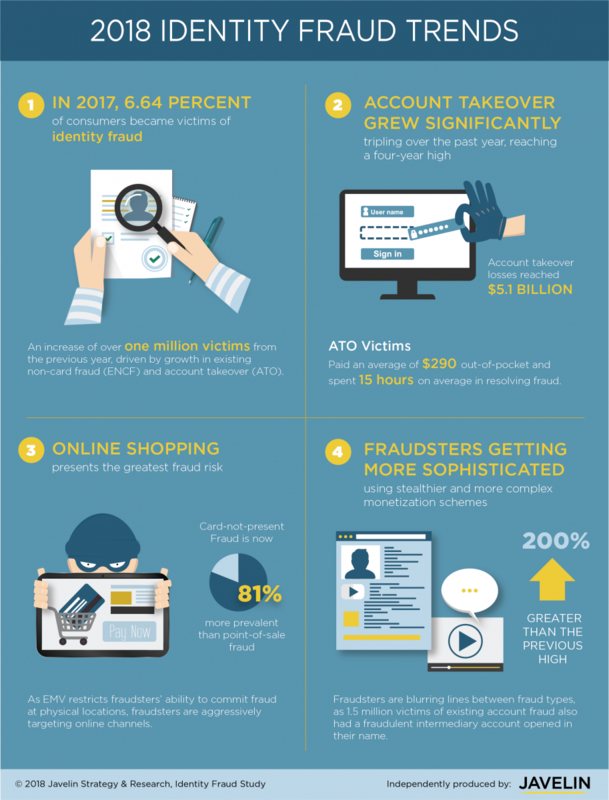 An Identity Fraud Report published by the Javelin Organization earlier this year highlighted the alarming scale of global identity theft. The report claimed that in 2017, there were a total of 16.7 million people in the United States who were victims of identity fraud. This figure is a new record, beating the old record that was set just the year before. Cases of identity fraud are rising steadily. Despite a brief fall in 2016, probably due to the introduction of new chip credit cards, ID fraud rates have risen year on year for more than a decade. The total sum estimated to have been stolen by identity fraud schemes in the U.S last year was $16.8 billion. While this figure only represents a fraction of the $13.6 trillion U.S of total consumer spending in 2017, it masks the really worrying fact that 30 percent of U.S consumers were subject to some form of data breach during the same period. With criminals using ever more sophisticated ways to commit identity fraud, what can companies do to stop them? In this article, I want to examine how blockchain technology can be used as a secure, reliable and cost effective way to prove identity. It‘s not just fraud prevention that stands to gain from the mass implementation of blockchain identity solutions either. Having universal access to a trustworthy proof of ID could help with everything from job applications to traveling abroad. If such solutions were integrated with other personal records like our credit histories, we would be able to use our blockchain identity to do everything from opening a bank account to getting a book from the libary. So Why Do We Need Blockchain For Identity? 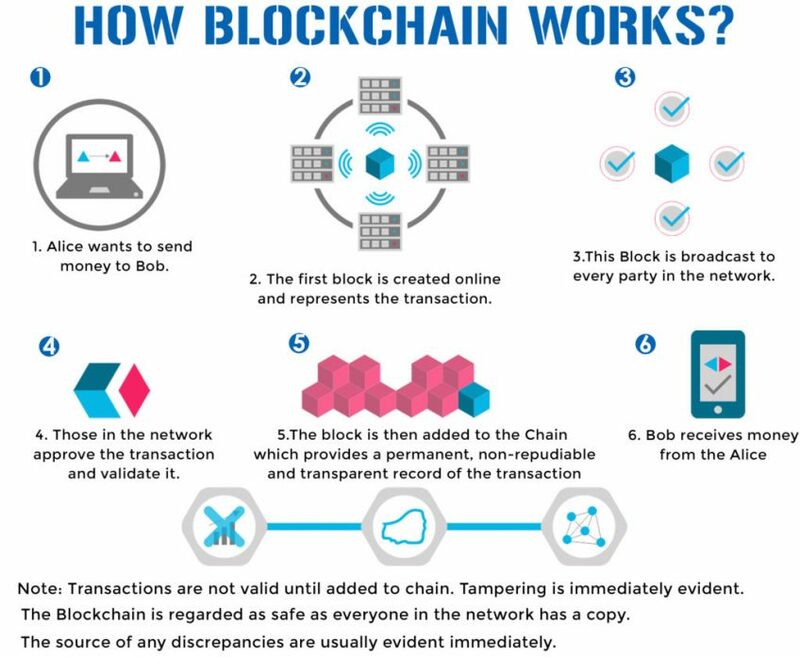 Before I get into how using blockchain for identity can dramatically improve on existing methods of ID verification, it is worth taking a brief look at exactly how blockchain works. Many in the IT industry are touting blockchain technology as a miracle solution to many of the problems that existing systems can‘t solve. Everything from fraud prevention to automation of supply chains stands to gain if blockchain solutions can be implemented. Blockchain is a digital ledger that is comprised of blocks of data that are stored in a chain. After the first block is created, every new validated data block is added on to the next and so on and so on. The beauty of blockchain technology is that it operates on a decentralized peer-to-peer network. This means that there is no one controlling entity over the network and no single point of failure for cyber hackers to exploit. Since every participant or node on the network has a complete record of all the blocks on the blockchain, it is almost impossible to change any data on the blockchain without support from 51% of the nodes on the network. This is the very principle that allowed blockchain to underwrite the first ever viable digital currency, Bitcoin, and this is why every other cryptocurrency in existence is built on the same technology. A decentralized network that can resist any attempt to alter data could be the long-awaited answer to the electronic identity problem. As any data stored on a blockchain can be trusted as not having been altered or tampered with, any third party could accept this data as being genuine. All of these cases could be dramatically lowered if there was a completely trustworthy way of proving identification. So what kind of potential does a blockchain-based ID have? What could such a solution offer that the current ones cannot? The really big leap that unlocking the potential of managing identity on the blockchain would allow for personal control of data. No longer would individual‘s ID data have to be stored by ID companies such as Equifax, Experian or even the government. A blockchain ID solution could allow individuals to control their ID and who can access it. Much like Bitcoin, which requires a unique key to access funds, a blockchain-based ID would require the individual it concerns to authorize access to it. Authorization could be handled in a number of ways that would prevent the chance of fraud. The most obvious way to handle authorization is to link it to biometric data such as fingerprints or an iris scan. 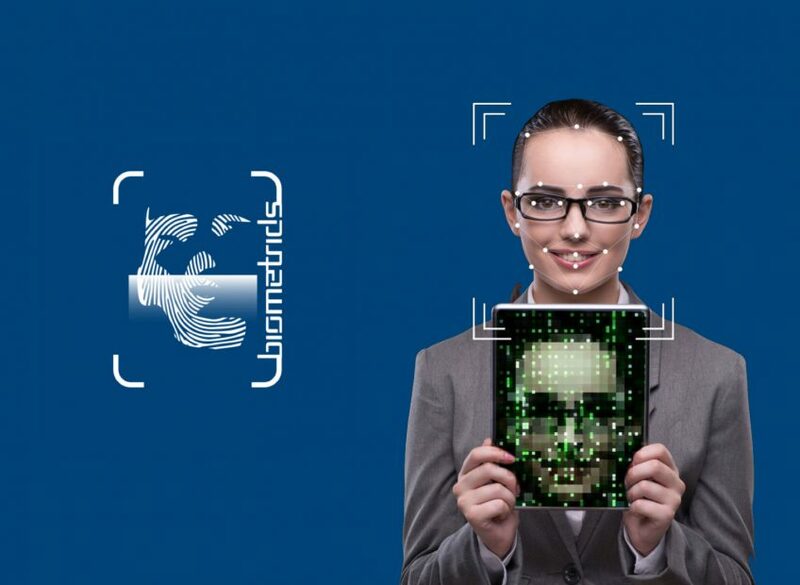 This would ensure that the individual is who they say they are as biometric data is almost impossible to fake. The fact is that despite being indistinguishable when it comes to DNA tests, identical twins do not have matching fingerprints. So such an approach could clearly pinpoint an individual‘s identity. This would make any blockchain identity solution extremely trustworthy from the point of view of anyone requiring proof. As a safeguard, to prevent individuals forbidding access to organizations or government agencies such as the police, a separate means of access could be built in to allow an authorized agency to grant third parties access to a person‘s ID. This failsafe would also act as a backup should an individual disappear or lose their ability to access their ID blockchain because of an accident etc. Being able to rely on data accuracy is the Holy Grail for many of the industries that power our global economy. The healthcare industry is eagerly waiting to see how Blockchain can be used to Keep Medical Records Secure, while governments and the financial industry are investing in blockchain solutions to Help Prevent Money Laundering. The fact that any data, once written to the blockchain, is unalterable means that there is no way that the individual concerned or any third party could alter the data has massive implications. Firstly, as I have already pointed out it means that companies can place their trust in the fact that the data is correct. In the case of identification, this means that the person is who they say they are. The other implications are equally beneficial. A complete record of who has accessed that person‘s data and when could bring benefits. In the case of credit and criminal background checks, numerous cases have been reported where an ID background check has led to an individual being refused everything from a loan to being refused a job. In such cases, the person concerned often has no idea what has happened and why. Being able to easily access the information held on their own ID blockchain and see who has accessed it would give individuals the tools they need to fight wrongful actions made on the basis of incorrect or obsolete data etc. Anyone who has ever had to perform a background check with any of the credit agencies will understand that access to your data comes at a price. A typical check from Experian costs $14.95 and requires applicants to spend time filling in details to apply for it. Likewise, an FBI criminal background check takes 5-7 days and costs $39.95. A blockchain solution could allow individuals to access such data in a matter of seconds with no fee. Since an ID blockchain database could hold all kinds of information, it could also be used to store everything from criminal records to credit rating scores. There are a few issues that lead some experts to suggest that a workable ubiquitous blockchain solution for identification is still some 10 or more years away from practical implementation. First of all, the use of blockchain for digital identity would require new government regulation to be passed that would create clear guidelines on how such a solution should be implemented. One example of why this new regulation is needed is to define who owns the information. Those very few people who have actually read the terms and conditions, as set out by companies such as Facebook and Google, will know that while you own the data, they exercise “a non-exclusive, transferable, sub-licensable, royalty-free, worldwide license to use any IP content that you post”. Source: Facebook Terms and Conditions. In the case of a decentralized blockchain database, who would own the data contained on it? If it is the individual whose data it is then to what extent is the company who developed the ID software be liable for the data and any misuse etc.? The second major hurdle is who would be responsible for ensuring the authenticity of the data so that companies could be sure that the person is who they say they are. In most cases, companies who are responsible for identification ask to see a passport and even a birth certificate. The reason that they are so meticulous is that they are liable should the identification be found to be false. Regulation would need to be put in place to ensure that whoever was responsible for creating an individual‘s blockchain ID verified correctly that the person is who the ID says they are. Consequences of not doing so would not only allow that individual to commit fraud but would also massively tarnish blockchain‘s reputation and possibly lead to delayed implementation. While a blockchain solution would be cheaper than companies such as Experian, what form of charge would they need to levy in order to pay for blockchain mining and system development? Would fees be levied for anyone wishing to access the information or for those companies and government bodies wishing to add information etc.? Need developers for your next big project? Whatever you want to build, our top-rated dev teams can bring it to life! Hibernate vs. JDBC: Which to Choose?